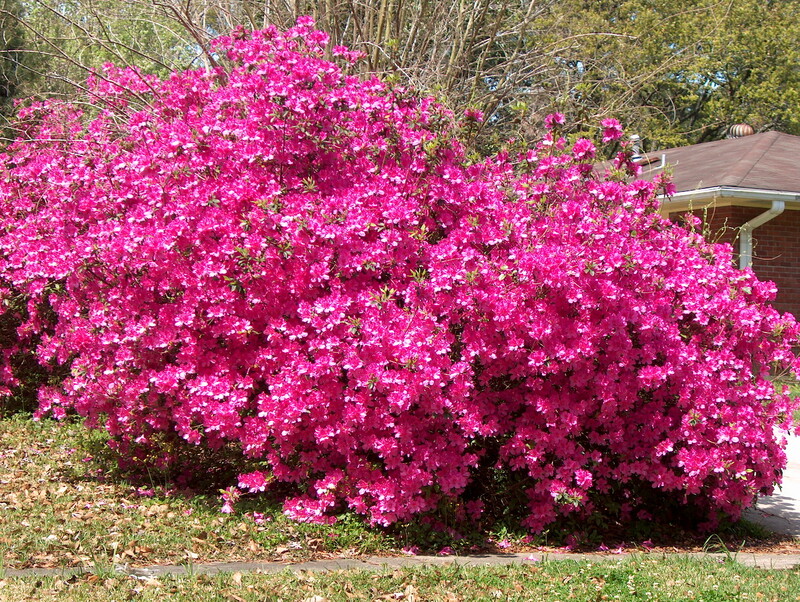 Comments: This azalea is among the most robust of all the southern azaleas. The three inch, early spring flowers are a bluish-pink to rose-purple with a darker blotch in the throat, and the foliage is a dark rich green and the overall plant growth is upright. Because this azalea grows very large, periodic pruning may be required to keep growth in check. Probably the most widely planted of all the southern azaleas.